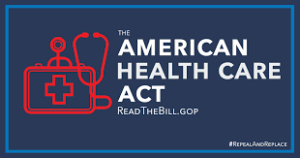 The “good” stuff in the House bill is all obvious: lower premium costs; reduce the federal deficit by $119 billion over 10 years; eliminate private insurance subsidies. Not much in the story about that — just a casual mention. What was not mentioned in the story (and will probably be lost in all the news coverage of this CBO financial analysis) is the fact that Obamacare has cost $1 trillion MORE than originally anticipated. That’s not a small mistake. And who has paid those losses? Not the government. The government has written the checks for that amount. But those checks were drawn on YOUR account. In summary: it is mind boggling that lawmakers in D.C. keep and operate the finances of our country using the most screwed up budgeting process imaginable. I’ve written about this before, but maybe you did not see it, so I’ll remind you of the structure of that process. 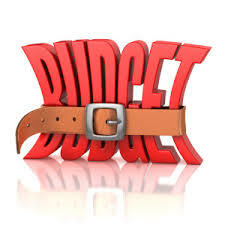 The federal government uses a process called “baseline budgeting.” Baseline budgeting uses current spending levels as the “baseline” for establishing future funding requirements and assumes future budget needs will equal the current budget times the inflation rate times the population growth rate. Twice each year the CBO looks at actual revenues and actual government spending and actual population and inflation growth and uses those numbers to make future projections. It costs $100 this year for cleaning supplies for the Pentagon. Next year’s budget for the same supplies will be 100 + (100 x 1.13 % (2016’s population growth rate)) + (100 x 1.14 % (2016’s inflation rate)) or $102.27. In this budget process, the actual cost for the cleaning supplies, whether or not they can be reduced, will remain the same, or increase in price is NOT considered at all! At your house, you would try to redo the cleaning supply plan to find the same or similar supplies 10% cheaper if possible. Not the federal government. They don’t care! Baseline Budgeting was created in the Congressional Budget Act of 1974. You may remember that was the year that Nixon started as President and Gerald Ford finished as President after the Nixon resignation. It will come as no surprise to you that both Houses of Congress were controlled by a large Democrat majority. Congressional Democrat leaders had been trying for years to lock up the budgeting process in this baseline process. They achieved this biggest boondoggle spending process primarily because of the American public’s outcry against Republicans because of Watergate. GOP party members in the House and Senate virtually “gave” their votes to the Dems because of the anti-GOP public sentiment due to Watergate. Do not be too quick to place the blame on liberals for this process. Remember: several time since 1974 the House and Senate have been under GOP control. During those times Congress under Republican leadership could have changed budgeting back to “cash accounting” and done away with this ridiculous budgeting process. But Congressional leaders and their members really like the built-in spending opportunities to virtually hide spending increases from the public, thereby avoiding unnecessary election battles. How many times during House and Senate elections in your state have you heard spending cuts and budget cuts mentioned or discussed? Have you ever one time heard baseline budgeting mentioned or discussed? I doubt it. The bottom line is the American public has pretty much given Congress a pass on spending increases. And in doing so “WE” have piled up $20 trillion of debt with $100 trillion more of “unfunded” liabilities, like Medicare, Social Security, and pension fund liabilities guaranteed by taxpayers. We seriously do not have much time left to get this right. We need a Congress that looks at money they spend — OUR money they spend — as the last money on Earth. Every dime that is budgeted needs to be analyzed, discussed, and each and every proposed spending item needs to be released with complete detail to the public BEFORE budgets are approved. Do you think that will ever happen? ← Russian Investigation of Election Collusion Results are In! Thank you for the truth of what we are living with in our government- they act like its monopoly money ? as long as it’s not their own.